Dr. Abdul-Adil is a part-time Professor of Clinical Psychology who specializes in evidence-based, culturally-sensitive, and best practices programs for the prevention and intervention of child trauma, community violence, and conduct problems with low-income urban youth and families. Dr. Abdul-Adil's current courses include child development and research clerkship. Dr. Abdul-Adil is also a full-time Associate Professor of Clinical Psychology in Psychiatry at the University of Illinois at Chicago. He is the Co-Director of the Urban Youth Trauma Center at UIC which is part of the National Child Traumatic Stress Network. Dr. Abdul-Adil's work investigates best practices for integrated approaches to co-occurring trauma and disruptive behavior disorders for youth exposed to community violence. 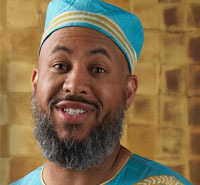 In addition, Dr. Abdul-Adil is the co-founder of Young Warriors/Hip-Hop HEALS, a media-based intervention that uses modern Rap music and Hip-Hop media to promote critical thinking, prosocial skills, and trauma-informed services for urban adolescents. Abdul-Adil, J. (2014). From voiceless to victorious: Street sounds and social skills for gang-involved	urban youth. In B. Porfilio, D. Roy & L. Gardner (Eds.) (Ed.) See you at the Crossroads: Hip-Hop scholarship at the intersections - dialectical harmony, ethics, aesthetics, and panoply of voices (pp. pp. 149-168). Boston, MA: Sense Publishers. Dang, S., Vigon, D. & Abdul-Adil, J. (2014). Exploring the healing powers of Hip-Hop: Increasing therapeutic efficacy, utilizing the Hip-Hop culture as an alternative platform for expression, connection. In B. Porfilio, D. Roy & L. Gardner (Eds.) (Ed.) See you at the Crossroads: Hip-Hop scholarship at the intersections - dialectical harmony, ethics, aesthetics, and panoply of voices (pp. pp. 169-180). Boston, MA: Sense Publishers. Abdul-Adil, J. (2014). Modern Rap Music: Mining the melodies for mental health resources. Journal of	Youth Development: Bridging Research & Practice, 9 (2), 149-152. Javdani, S., Abdul-Adil, J., Suarez, L., Nichols, S. R., & Farmer, A. D. (2014). Gender differences in the effects of community violence on mental health outcomes in a sample of low-income youth receiving psychiatric care. American Journal of Community Psychology, 53 (3-4), 235-248. Kiser, L. J., Stover, C. S., Navalta, C. P., Dorado, J., Vogel, J. M., Abdul-Adil, J., Kimh, S., Lee, R.C., Vivrette, R. & Briggs, E. C. (2014). Effects of the child–perpetrator relationship on mental health	outcomes of child abuse: It's (not) all relative. Child Abuse & Neglect, 38 (6), 1083-1093. Abdul-Adil, J., Drozd, O., Irie, I., Riley, R, Silas, A., Farmer, Jr. A., & Tolan, P. (2009). University- community mental health center collaboration: Encouraging the dissemination of empirically- based treatment and practice. The Community Mental Health Journal, 46 (5), 417-422. Abdul-Adil, J. (2009). "Principled pluralism" - Toward a religious revival in psychology? One Muslim's perspective. Journal of the Society for Christian Psychology, 3 (2), 12-16. Atkins, M., Frazier, S., Leathers, S., Graczyk, P., Talbott, E., Jakobsons, L., Abdul-Adil, J., Marinez-Lora, A., Demirtas, H., Gibbons, R. & Bell, C. (2008). Teacher key opinion leaders and mental health consultation in urban low-income schools. Journal of Consulting and Clinical Psychology, 75 (5), 905-908. Critical thinking, participatory education, and practical application toward developing future "scientist-practitioners" who can design, deliver, and further develop effective interventions in the realm of mental health. Emphasize culture, context, and connection between theory, practice, and research. A tradition of humanitarian service and quest for social justice from my family and community backgrounds. Use the process, don't let the process use you. Each academic and applied experience from day one on campus can serve as a building block in formulating and facilitating your professional identity and expertise.